Internet kicking sensation Havard Rugland, whose YouTube kicking video has been viewed over 5 million times, continues to advance towards his NFL dream with the Detriot Lions who will be playing a preseason game against the New England Patirots tonight. 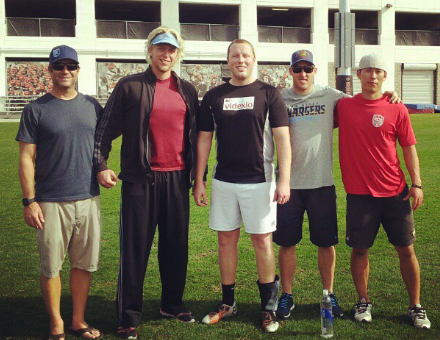 Havard Rugland training with kicking coach Michael Husted. I am big on the snap, hold, and kick operation for specialists due to the tempo and timing involved. There is no doubt that Havard wouldn't have been up to speed with the Lions without the significant amount of time spent in this area. Internet kicking sensation Harvard Rugland, whose YouTube kicking video has been viewed over 5 million times and who is in training camp with the Detroit Lions, continues to advance towards his NFL dream according to kicking coach Michael Husted. Husted says he is not surprised that Harvard Rugland (aka Kickalicious on YouTube) is having a successful training camp with the Detroit Lions given his dedication to learn, and the professional quality training he had while in San Diego. 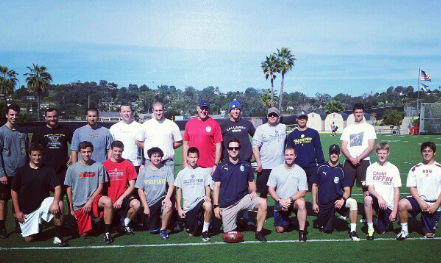 "Håvard spent over two months in San Diego training exclusively with me," says Husted. "And a significant amount of our training included game situations using NFL caliber long snappers and holders," Husted said. For more on Harvard’s training and preparation for the NFL, go to kicking coach Michael Husted’s blog at Michael Husted.com. Husted said that he connected with Rugland on Facebook back last October after seeing his video on YouTube. Coincidentally, Husted was also contacted at the same time by the NY Jets who asked him if he had seen Rugland’s video. After informing the Jets he had already been in communication with Rugland, they recommended that he come to San Diego to train with the retired NFL kicker. Husted’s first goal was to see if Rugland had college eligibility. 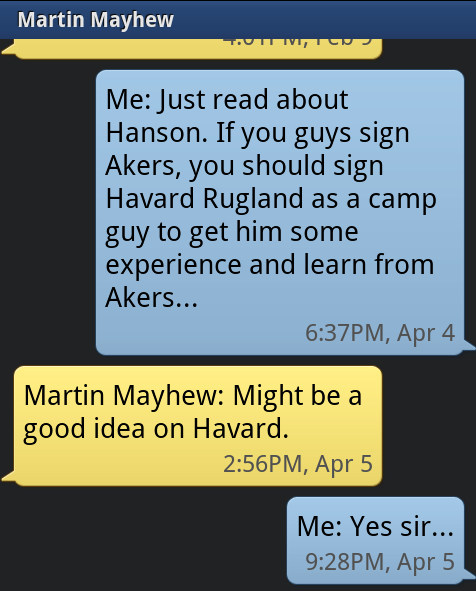 Husted quickly realized Håvard didn't have any college eligibility since he already had a college degree and is 28. 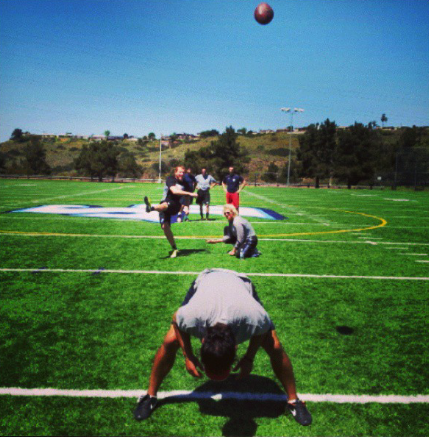 It was apparent to Husted the only opportunity available to Rugland was to try to make it as a professional kicker. Considering Rugland had never played a game of football in his life (he was a soccer player) this would appear to be an almost insurmountable task. However, after watching Rugland’s video and talking with him, Husted was willing to take a chance on him and agreed to train him. Shortly after working with Rugland, Husted thought he was ready for the Jets to see him kick. Another big asset for Håvard was the opportunity for him to kick with great NFL kickers and punters like Nate Kaeding, Nick Novak, John Carney and Darren Bennett. He also had the opportunity to kick with other NFL training camp kickers and punters like Giorgio Tavecchio and Brian Stahovich. 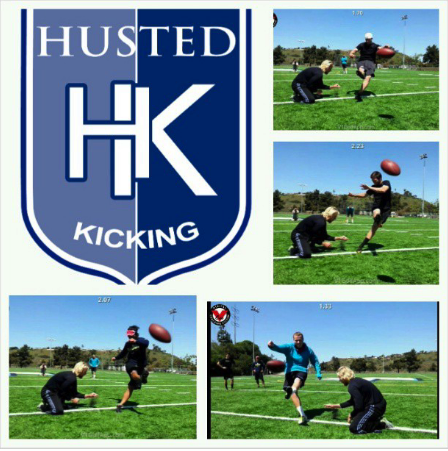 Husted stated that, "Having the relationships that I have within the kicking community allowed for Håvard to receive the best possible training which greatly improved him as a kicker." In February, Husted reached out to former Tampa Bay Bucs teammate, Martin Mayhew. Mahew is the General Manager of the Detroit Lions. Shortly after his conversation with Mayhew, the Detroit Lions brought Rugland in for his second NFL workout and a short time later, Rugland signed a free agent contract with the Detroit Lions. Husted says Rugland has had a solid training camp thus far connecting on field goals of 33 yards, 49 yards and 50 yards. Husted says he credits Rugland’s success with his natural ability, his work ethic and the professional training he received in San Diego working with Husted. "I am big on the snap, hold, and kick operation for specialists due to the tempo and timing involved,” says Husted. “There is no doubt that Håvard wouldn't have been up to speed with the Lions without the significant amount of time spent in this area. The Detroit Lions play a preseason game against the New England Patriots tonight. Go to MichaelHusted.com for a complete follow-up on Håvard Rugland's success. 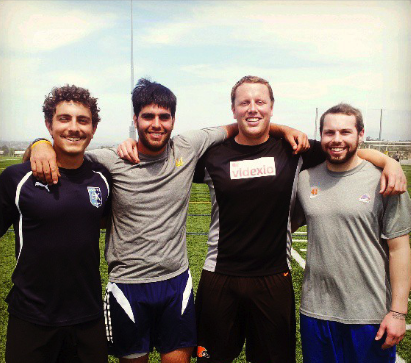 Go here for more information about kicking coach Michael Husted and Husted Kicking.